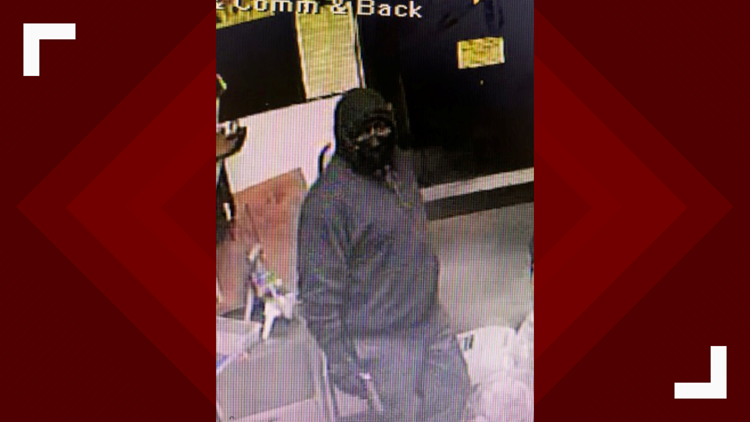 WARNER ROBINS, Ga. — Warner Robins Police need your help identifying a man who robbed a Subway at gunpoint Sunday night. They say it happened at the location at 4993 Russell Parkway around 9:45 p.m. The masked suspect was armed with a handgun and went into the restaurant demanding money. After getting an undisclosed amount, he left the scene. No one was injured during the robbery. There is not surveillance footage from Subway, but police say they believe the suspect is the same person who attempted to rob the Waffle House at 6025 Watson Boulevard on Saturday morning, which is where the photo is from. Anyone with information can call Det. Peck at 478-302-5380.